Cocoa Beach is known for space shuttles, spring break, beaches, surfing, and now Stand Up Paddle boarding. Cocoa Beach is quickly becoming a hot spot for SUP with both locals and visitors alike. 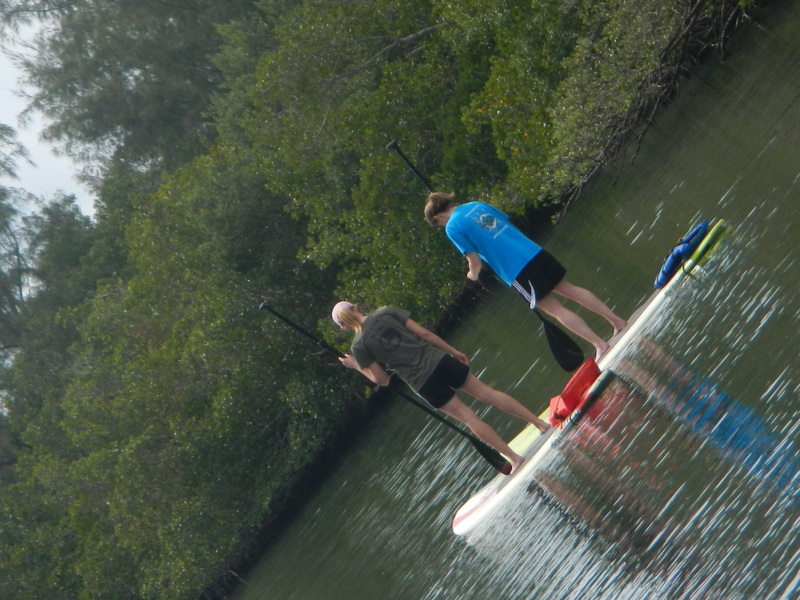 With many paddling options – ranging from the surf of the Atlantic ocean, to the mangrove lined Indian and Banana Rivers, it is a stand up paddleboarding paradise. Many tourists to Cocoa Beach have observed people “Walking on water” and are hoping to experience this fun new sport while vacationing in Florida. A great way to learn the basics, see amazing scenery, experience cool Florida wildlife (think dolphins and manatee! ), and have some amazing photos to share when you return home is to take a tour with SUP Eco Adventures (www.supecoadventures.com). A beautiful drive south on A1A takes you away from the hustle and bustle of Cocoa Beach and brings you to a nature lover’s paradise. SUP Eco Adventures launches from a historic site that truly takes you back to old Florida. With few people and numerous wildlife, the calm waters of Mullet Creek in the Indian River Lagoon is a great place to experience stand up paddle boarding!